Funky Bunches is a family owned flower and gift retailer in the highly competitive Perth market. THE Leukaemia Foundation of Western Australia will undergo a major restructure in a bid to reposition the Balcatta-based charity’s brand in Western Australia. JASON Nuttman started West Perth-based The Running Centre with Raf Baugh after more than 15 years in the retail and brand management business. REGISTERED charity HeartKids WA was established in 1979 by a group of parents dealing with the day-to-day realities of childhood heart disease. THE Chooks Fresh & Tasty concept began with ‘chief chook’ Steve Hansen, who started out in franchising 27 years ago when he invested in a Chicken World business with his father-in-law, Colin Manuel. THE mortgage broking industry has emerged as the leader in overall satisfaction among franchisees, according to a recent review. DEBRA Barber started home-based Online Personal Assistants in May 2008 after deciding against a return to full-time employment following the birth of her second child. MORE than a century after opening its first gymnasium on Hay Street, the YMCA has launched a state-of-the-art facility in the Perth central business district. Concerted investment in people has helped Rising Stars award winner Datacom Systems WA maintain strong growth despite challenging market conditions. The mortgage broking industry has surfaced as the leader in overall satisfaction among franchisees, with Smartline Personal Mortgage Advisors and Mortgage Choice taking the top two spots in a recent bi-annual review. Western Australian businesses are still struggling to understand what the new IR laws mean for them. THE federal government has come under fire amid claims its new industrial relations laws leave some workers worse off, and prevents some Western Australian businesses from growing. WEST Leederville-based Datacom Systems WA has signalled further acquisitions to grow the business after last week buying the data centre of Metro iX for $10 million. THE Western Australian Council of Social Service has welcomed the state’s $12 million injection to social services but warned more needs to be done to address the growing wage gap between government workers and those in non-government organisations. Around a quarter of planned resource projects in Western Australia will be canned if the federal government pushes ahead with its 40 per cent super profit tax, Premier Colin Barnett says. LACK of preparation by franchisees, poor communication, complex business systems and a lack of trust are among the key findings of a recent study of the $130 billion franchising sector. PAYROLL giving is emerging as a significant contributor to the not-for-profit sector with a growing number of Western Australian businesses implementing the donating mechanism, according to a PricewaterhouseCoopers report. THE Australian Services Union is calling witnesses before A Fair Work Australia hearing in a pay equity test case aimed at lifting the salaries of the state’s social and community sector workers. THE state’s business brokers are experiencing a surge in activity as business optimism about the year ahead creates an environment conducive to selling, particularly in the IT sector. THE City of Mandurah has deferred a decision on whether to reverse traffic flow on Mandurah Terrace until June to assess a traffic impact report. LWP Property Group grew out of Japanese-owned Sanwa Property Group in the 1990s. Western Australian Premier Colin Barnett says he will ask the Prime Minister Kevin Rudd to either scrap or review plans for a super profits tax on the resources sector during talks today in Perth. 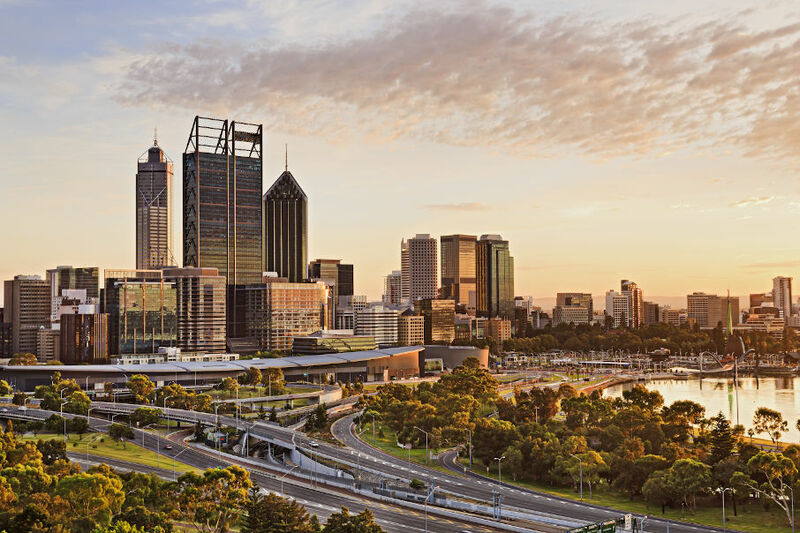 Perth median house prices have risen slightly in the March quarter, but are down from a sharp increase experienced in the December quarter, according to an Australian Property Monitors report. STARTED in 2002 by staffing and recruitment veteran John Cooling, SmartWorker has grown to employ 10 employees servicing more than 100 companies in the mining and heavy industry sectors. FOR a high-paid chief executive, sleeping on a sheet of cardboard with only a mug of soup to sustain them on a cold winter’s night is not a comforting thought. Bill Marmion has been plucked from relative obscurity to take over besieged Troy Buswell's portfolios of Commerce; Science and Innovation; and Housing and Works. Troy Buswell has today resigned as state treasurer after admitting to the abuse of taxpayers' funds during an affair with Greens MP Adele Carles. The state government will introduce involuntary severance as part of sweeping reforms recommended by the Economic Audit Committee to improve operational and financial performance within the public sector. Australia will fall into recession this year with Western Australia's strong momentum expected to fade after 2010, a key economic forecast said. One of the councils hardest hit by sub-prime related investment losses, the City of Melville, has blamed cost blowouts for its decision to stop work on an $8.1 million upgrade of the Leeming Recreation Centre.